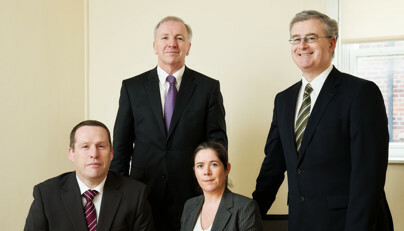 Carney Walsh & Company Limited was established in early 2002 following the merger of John A Carney & Company and Bradley Walsh & Company, two well established Dublin based Chartered Accountancy practices. The firm provides a full range of professional services to its clients with a particular focus on small and medium enterprises. We have many years of experience in this regard dating back more than half a century to the establishment of John A Carney & Company. Our aim is to provide efficient solutions for clients based on the close involvement of directors and managers in all client assignments. We believe that our commitment to such close involvement has given a significant competitive advantage to our clients and their businesses as well as contributing greatly to the growth of our firm since its formation in 2002. We aim to continue to develop our practice by way of personal commitment to client service to the mutual benefit of all. Copyright © 2014 Carney Walsh & Company Limited Chartered Accountants.